One of my favorite things about my mom is that she speaks mainly in idioms. She won’t mind if it’s covered in caramel and chocolate. Mix the cream cheese and brown sugar and spread in the bottom of a dish. 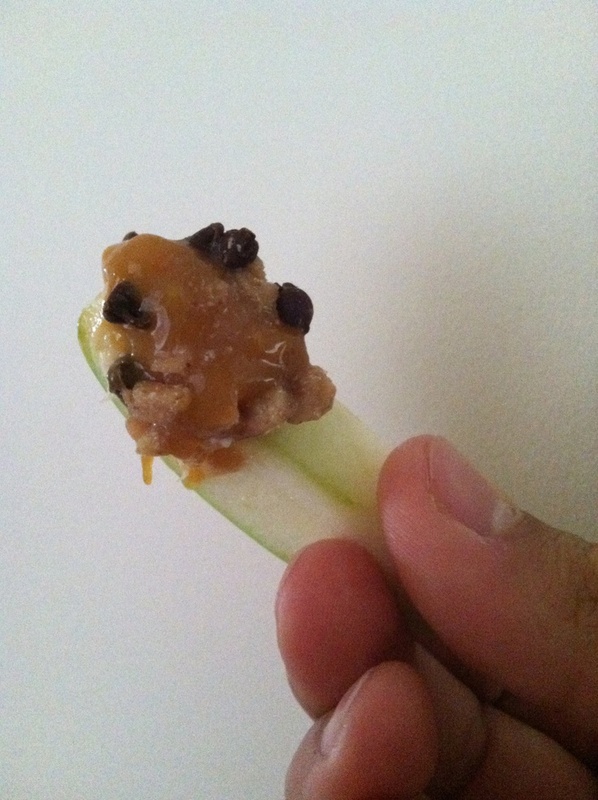 Spread a thin layer of caramel over the top, then sprinkle the Heath bits and chocolate chips over that. This is super easy and a good thing to bring to holiday parties because you can make it ahead. If you can’t find the Heath bits (sometimes it’s tricky), you could use chopped nuts, peanut butter chips, shredded coconut, etc. We really hit the nail on the head with this one.